The study and practice of yoga are not complete without Patanjali and the Yoga Sutras. 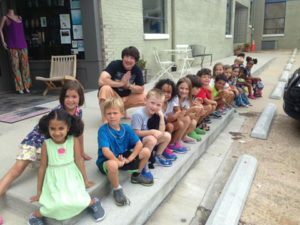 Durham NC is indebted to Bryan Carey, teacher/owner of Patanjali’s Yoga Studio Durham for leading many of us to the study of the Yoga Sutras of Patanjali. The Yoga Sūtras of Patañjali are 196 Indian sutras (aphorisms). The Yoga Sutras were compiled around 400 CE by Sage Patanjali, taking materials about yoga from older traditions. Together with his commentary, they form the Pātañjalayogaśāstra. The Yoga Sūtras of Patañjali was the most translated ancient Indian text in the medieval era, having been translated into about forty Indian languages and two non-Indian languages: Old Javanese and Arabic. The text fell into obscurity for nearly 700 years from the 12th to 19th century and made a comeback in the late 19th century due to the efforts of Swami Vivekananda. It gained prominence again as a comeback classic in the 20th century. Before the 20th century, history indicates the Indian yoga scene was dominated by the Bhagavad Gita, Yoga Vasistha, texts attributed to Yajnavalkya and Hiranyagarbha, as well as literature on hatha yoga, tantric yoga and Pashupati yoga rather than the Yoga Sūtras of Patañjali. In the 20th century, the corporate Yoga subculture elevated the Yoga Sutras to a status it never knew previously. 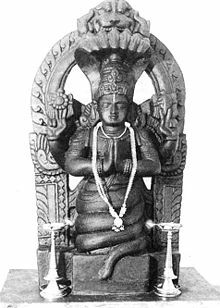 Scholars consider the Yoga Sūtras of Patañjali formulations as one of the foundations of classical Yoga philosophy of Hinduism. The Yoga Sutras of Patanjali discuss the philosophy on which yogic practice is based. It is an ancient and enormously influential piece of work, still relevant today. The Sanskrit word “yoga” describes the suspension of thoughts and feelings experienced during practice, and “sutra” is a thread on which beads – or in this case aphorisms – are strung. The work is sometimes referred to in English as The Yoga Aphorisms. Very fluent and deep. Easy to understand and, although general and overarching at times, still very applicable for people waking the spiritual path. Deeply spiritual. A must read for everyone- describes the essentials of why and how to attain stillness for a deep sense of well being and communion with the infinite. Very powerful. Daily reading brings me great joy and peace of mind. Thank you. SAVE 20% SITE WIDE + FREE SHIPPING ON ORDERS $75+ AT GAIAM.com – USE CODE: APRILFOOLS At Checkout! Hurry Sale Ends 4/3/19!